You have already experienced some success—and are capable of much more. This book contains the prescriptions to the challenges that you have faced (or will) as you take the next step up the ladder. You may find that every prescription applies to you today, or you might find the one gem that propels you to new heights. As an expert dealmaker, coach and instructor, Blaine gives you proven strategies to accelerate your commercial real estate brokerage career. 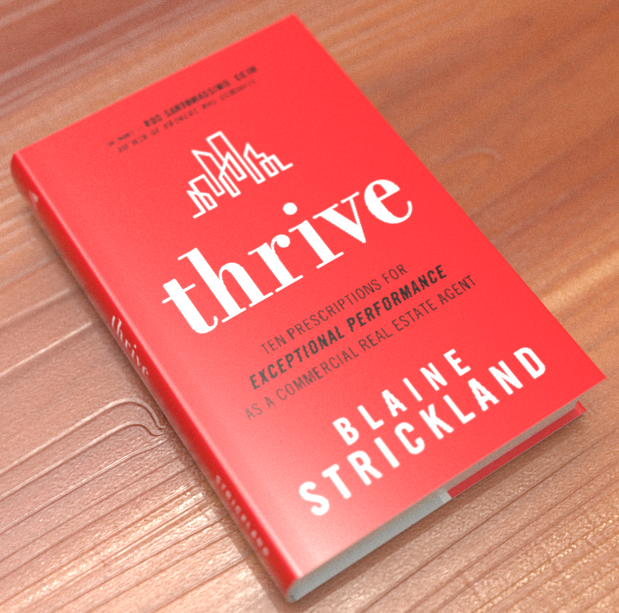 Thrive is available for purchase through this site as well as through Amazon. Blaine was recently interviewed by Scott Hollister of The Book Club Interview. Listen here as they discuss Thrive.